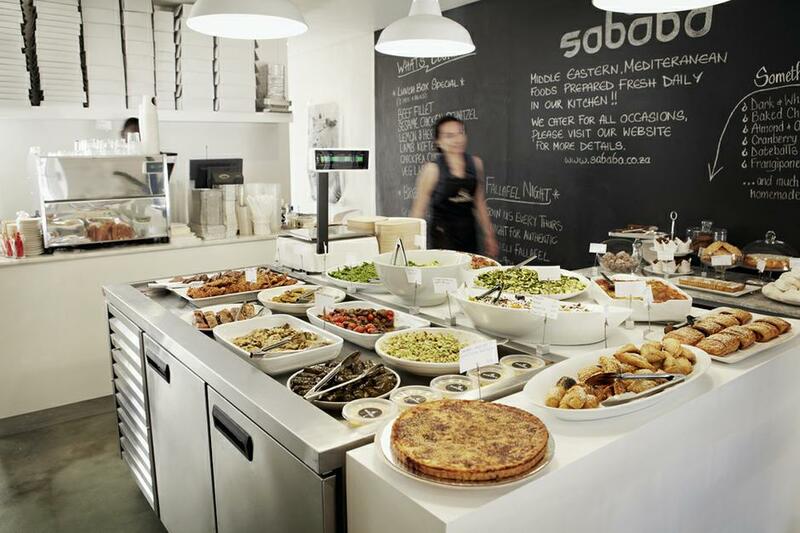 Sababa is one of the most delicious restaurants in Cape Town. I’ve only been there for lunch, I don’t think it is open for dinner or breakfast. It is located at the upper end of Bree Street (super pretty) in the CBD area.I had already seen the restaurant before but it wasn’t until I got Sababa’s book for birthday that I realized how delicious the recipes actually looked. When I went there ant tried the food it because a weekly thing to go there. It sells a variety of fresh foods like: Mediterranean food, curries and salads. And everyday they have different dishes, so you really know it’s freshly made. What I love about it is that you eat there very fast because the food is already made and then you just choose from the platters that are out. It is a bit hard to explain how you order the food but basically you just wait for one of the waiters to tell him what you want from the platters and then they’ll explain to you what you can choose. Don’t be turned-off by being confused, the food is really delicious. It is great to eat there and have a quick bite but it is also a great place to get take-aways, which we did countless times. Really really great food at Sababa! My favorite pizzas in town are here at Big Route! I’ve never tried anything else in the restaurant (because I love pizza) so I can’t recommend this restaurant for anything else. We sometimes order pick-up but we sometimes come and dine here. I like it more to sit in the restaurant and have dinner there because it has a really nice ambience, you can seat in the tables but you can also sit in the lounge area which is really comfortable and fun as well. This restaurant is in Green Point next to a lot of bars, so what we’ve done is we go for dinner here and then go have drinks at Cabrito, right next door (a bar I wrote about before). 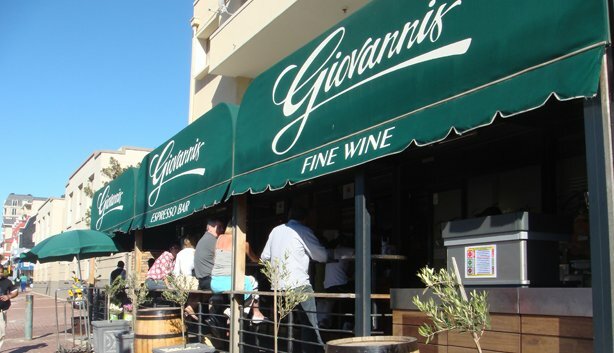 I love Giovanni’s because it is a very local hangout in Green Point, with great food. Some people just don’t seem to get it for some reason and say they don’t like it. Giovanni’s is not a restaurant per se it is definitely more a deli than it is a restaurant. But they have delicious pre-made food (like meatballs, salads, noodles, vegetables, curries and stews), fresh bread, imported foods (by foods I obviously mean chocolates and cookies 🙂 ), delicatessen foods, really good meats and cheeses. Although they have food they really don’t have tables to sit at, they have a few seats inside, next to the coffee bar (no alcohol) and then they have a few tall tables but no chairs. It is a place to eat good food, fast, or on-the-go (which is what I do most of the times, I take it home). What I like the most is that the food is cooked in a very Italian way and they have a lot of Italian dishes, I also like that I find products that I don’t find in any other supermarkets in Cape Town. My #1 thing to buy here is the “buffalo mozzarella” the authentic mozzarella cheese I also love the pre-made food and to make my own sandwich. It is great but I should warn you, very very OVERPRICED! But if you are looking for great food to takeaway, cheese/meats, delicious croissants or coffee, then go to Giovanni’s. Bombay Brasserie is one of the two restaurants at the Taj Hotel on Wale St. It is one of the most delicious Indian food I’ve had in my life (outside of India of course). The first time I went I didn’t like the menu as much but I think it was because I went during winter and the menu has less variety because they aren’t as busy. But then I saw online that the menu changed for summer and I went to try it out again and I loved it so much that I went twice in a week! The food is delicious, the service is good, it gets really full now in summer (so make sure you call in advance to make a reservation). If you like Indian food this is the place to go. It is a bit pricy but it is worth it! I tried Bukhara and it doesn’t even come close to the quality of the food at Bombay Brasserie. Best sushi in Cape Town! Takumi is a Japanese restaurant on Park Road very close to Kloof Street. It has great food, great atmosphere and great location. Price is very reasonable especially because it’s good quality. I’ve tried many sushi places in Cape Town (Beluga, Willoughby &Co, Nobu, etc) and this is really the best in town. Takumi is quite “authentic”; it’s owned by a Japanese man, Papa San, who is also the sushi chef and who you sometimes see walking around the restaurant. I would reserve a table maybe a day in advanced during summer especially during weekends, winters maybe to be safe just reserve if you’re planning on going on a Friday or weekends. There came I point in my life where I questioned whether going to an aquarium or a zoo was a good idea in terms of supporting animal cruelty. I have definitely become more conscious about animal welfare but at the same time I love to learn things and being able to see animals that I would never see if it wasn’t for these institutions. 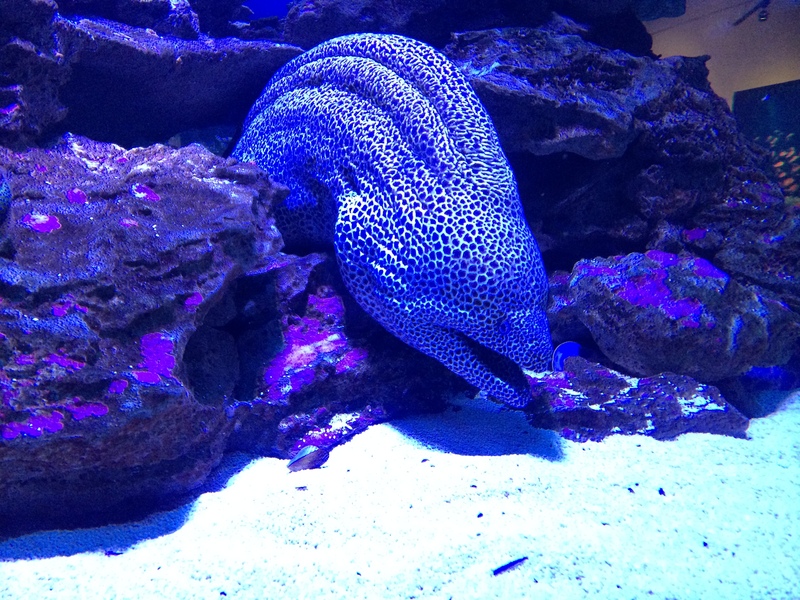 So I decided to give myself a very informal but good rule to follow, if I see that the aquarium does a good job at keeping the animals (it’s clean, they don’t look sad or miserable, they have big spaces) and if they do beneficiary research (without cruelty) to their ecosystems as well as the animals themselves then I will go. It turns out that Two Oceans Aquarium Cape Town is one that fits my rule! 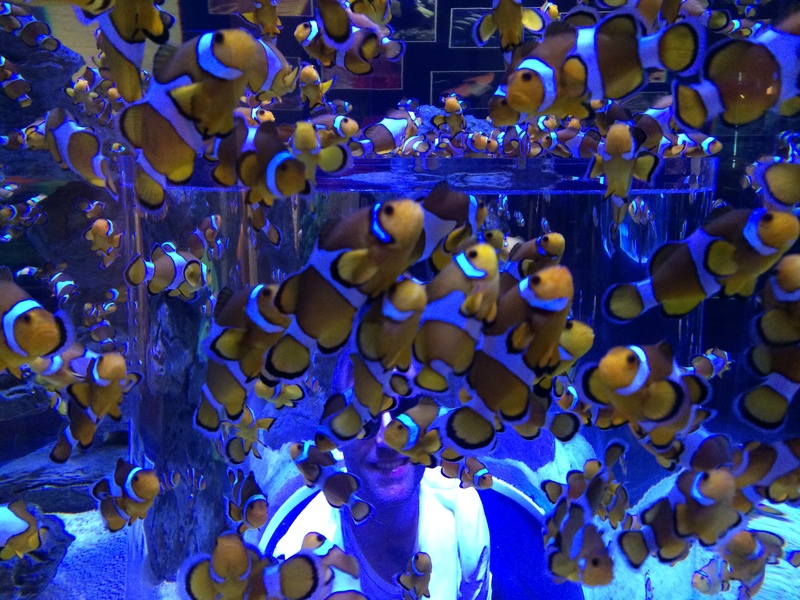 This is the second best aquarium I’ve ever been to after the New England Aquarium in Boston. 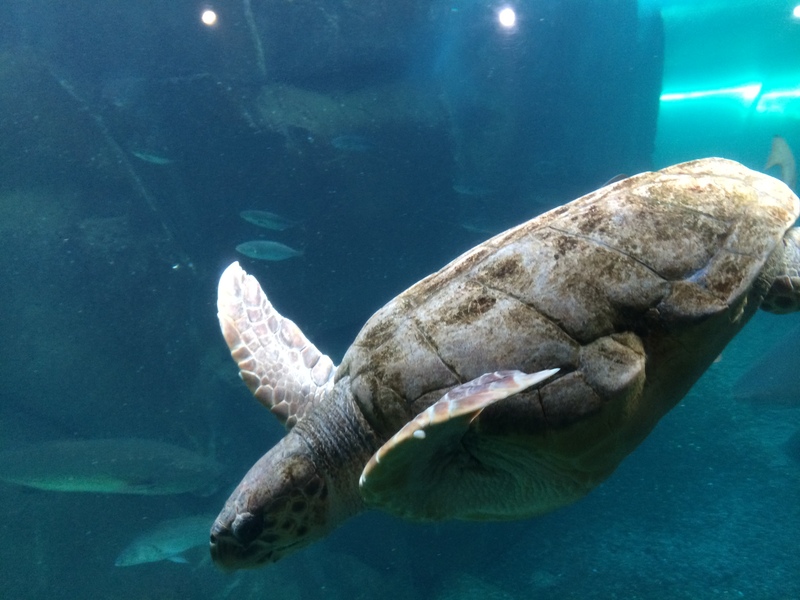 If you are in Cape Town and have a day with bad weather and all you can do is indoor activities, then I definitely recommend you to visit the Two Oceans Aquarium in the V&A Waterfront. I recently went and I loved it! I found it so informative and fun for any age. It is also in a great location where you can go and have lunch before or after visiting and there are a couple of indoor things to go and see around the V&A. They are in the process of opening a tunnel, so check the dates for that. I’m really sad it wasn’t open when I went. One of the things I wasn’t happy about where the penguins, I don’t think they look as happy so I would avoid that room and rather go to Boulder’s Beach and see the penguins in their natural habitat. 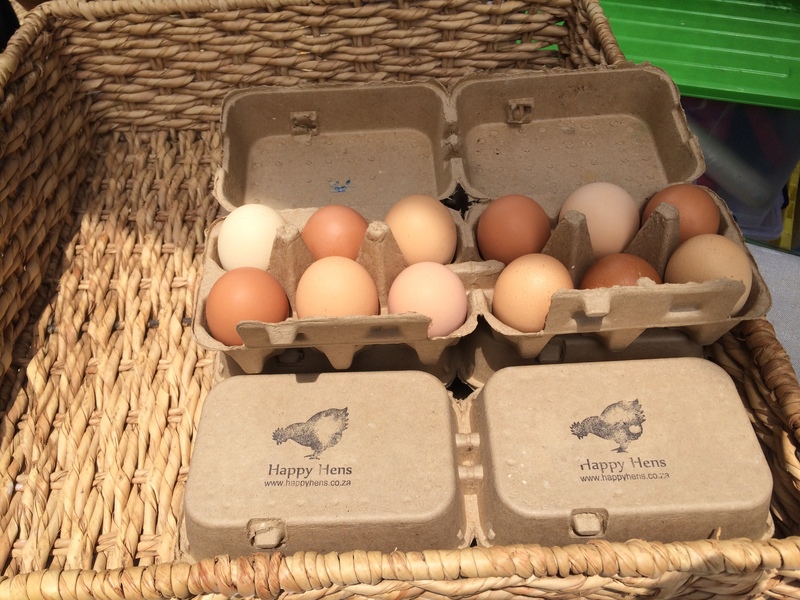 One of the nicest things about living in Cape Town are the markets. When I first got here all I wanted to do was go to the Old Biscuit Mill because I thought it was the best in town (I still think it is one of the best). But the more I went the more annoyed I was at how busy it got and how impossible it was to move around and find a seat. 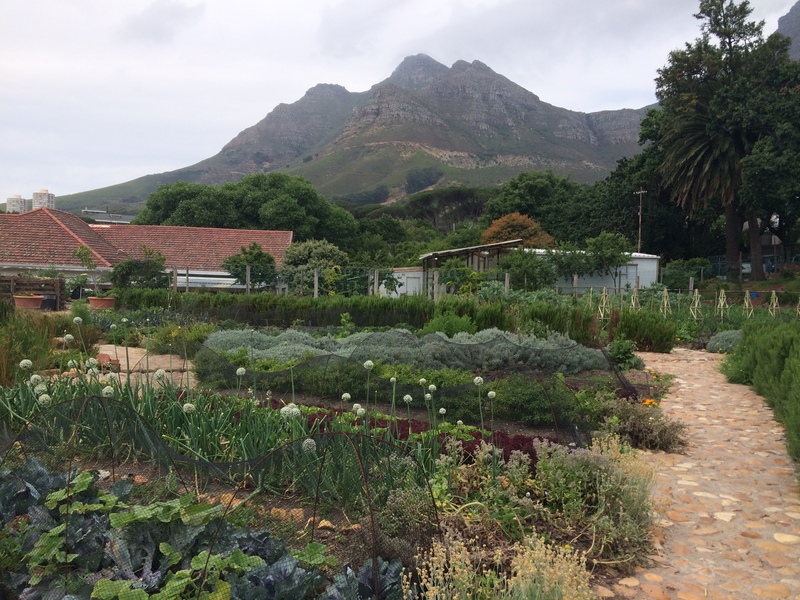 So when I first heard about a smaller, and more genuine and farm-like, market I couldn’t wait for the next Saturday to arrive to see what culinary wonders awaited me. 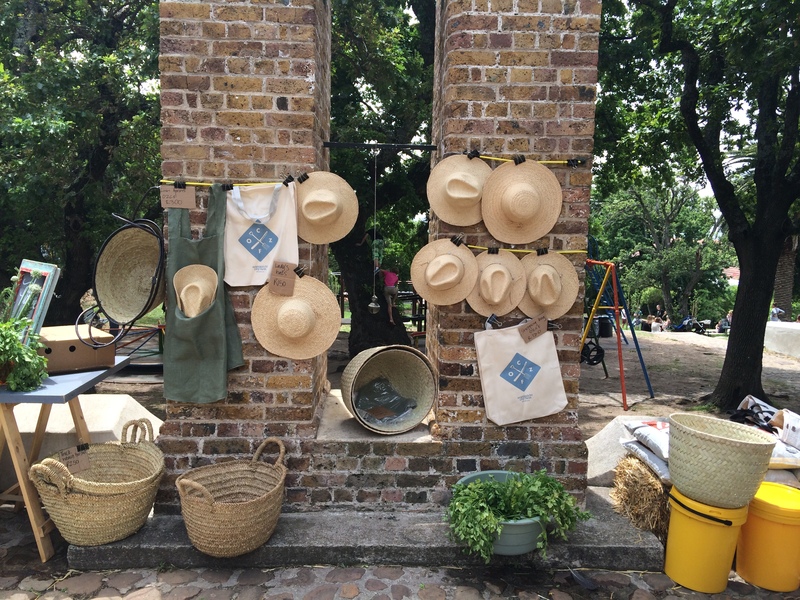 This market is the Oranjezicht City Farm market located in the city. When I went there the first time I didn’t quite understand it as much because it was much smaller market with less variety, but the more I went and the more I discovered the more I fell in love with it. Now it is my favorite market in Cape Town. 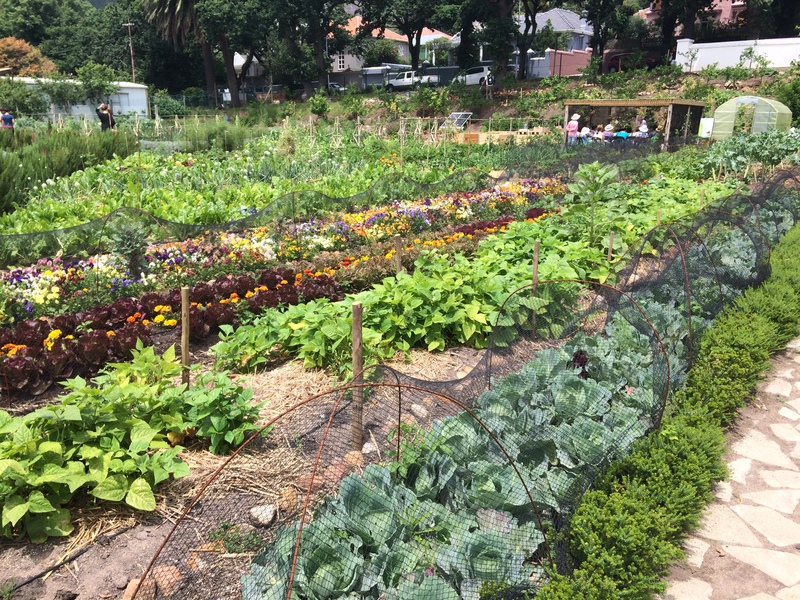 What is unique about the market is that the Oranjezicht City Farm (OZCF) is a community garden that is open all week long and where you can volunteer. On Saturday they have the market on a small park on the side of the farm (they used to have a tent but the wind blew it down about two weeks ago). It is a very beautiful market with a lot of wholesome and “artisanal” foods, a lot of the stands offer gluten-free, vegan, vegetarian, healthy and organic options. I love to go to buy my groceries of the week from there because they sell the fruits and veggies that grow in the garden, so not only do you get very fresh and organic foods but they also use the money to pay for staff. Another plus to OZCF market is that is a local Saturday morning hangout, so if you go you will not see as many tourists as you will at the Old Biscuit Mill. 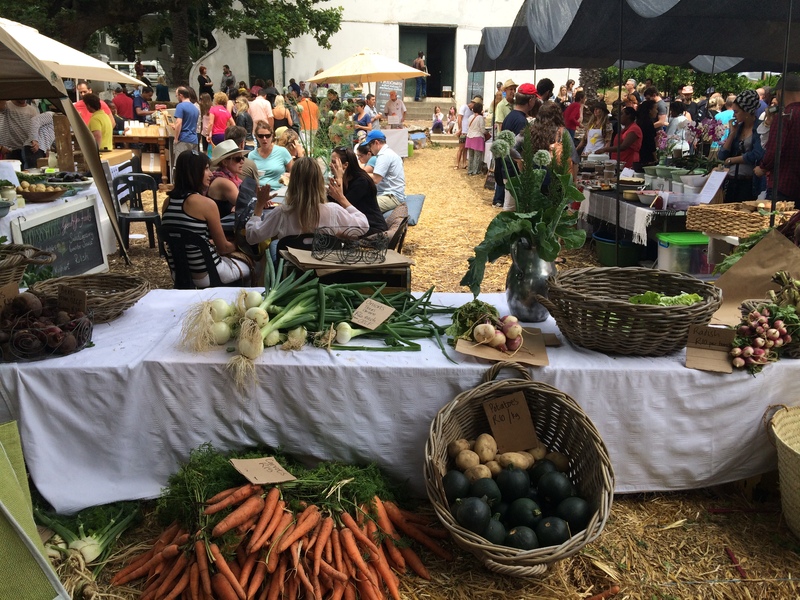 The OZCF market is one of the hidden treasures that Cape Town has to offer, it is a very special place where you can discover local foods and talent. So my favorites are: OZCF vegetable and fruit stand, Spades and Spoons Deli (try the gluten-free & sugar-free chocolate or carrot cake! 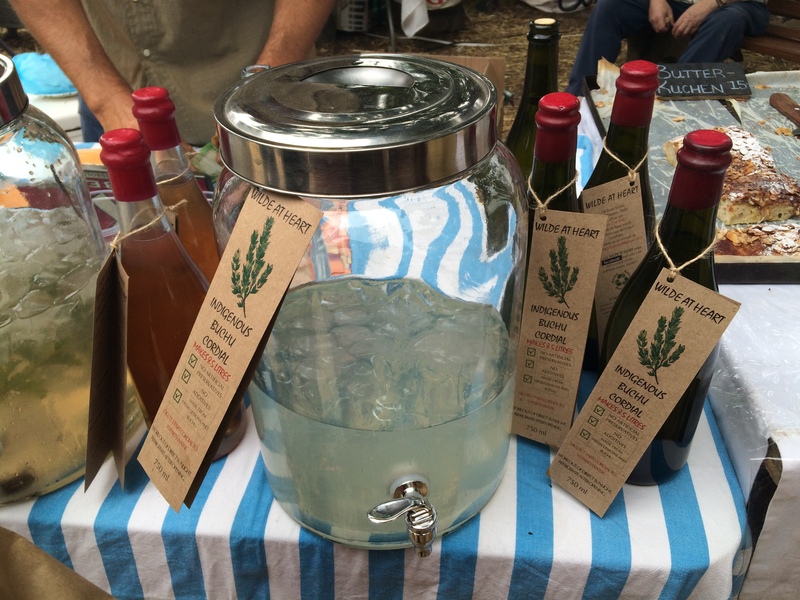 ), Sababa (falafels), Wilde at Heart (cordials), O’Ways (vegetarian buns), Woodstock Bakery (sourdough bread) and stand with the gluten-free crepes. ENJOY! it is one of my favorite places.